We’ll Be At the Village Gate Toy Show! Come visit us at this Sunday, December 7th, 10am–4pm for the Winter 2014 Village Gate Toy Show, 10am–4pm! 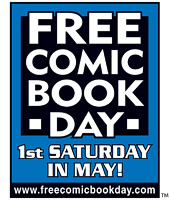 We will have a booth set up with a wide variety of comics and books for your perusal.